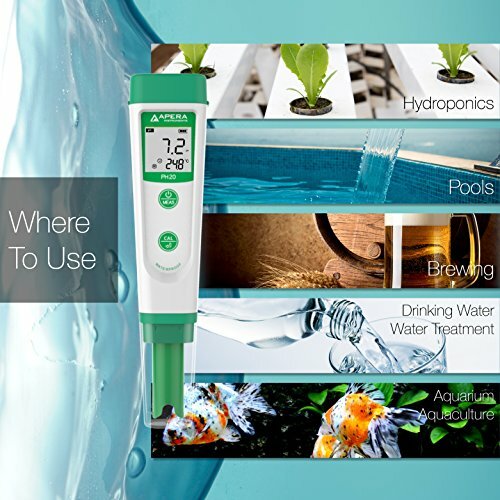 The PH20 Value pH Tester is designed for all kinds of regular pH test applications, including hydroponics, pools and spas, water treatment, aquariums, aquaculture, beer brewing, winemaking, cooling towers, etc. Up to 3 points of auto. calibration and 0 to 50˚C Auto temperature compensation (ATC), ±0.1 pH Accuracy with 0 to 14.0 pH measuring range; auto. recognition and auto. indication of stable readings saves you the trouble of guessing when to manually hold measurement. 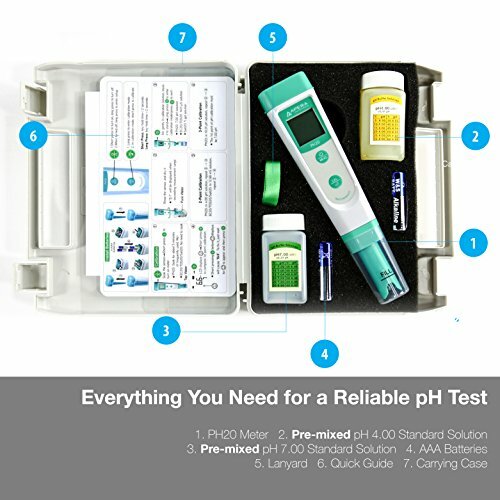 The PH20 meter comes in a rugged case with pre-mixed 1oz bottles of pH 4 and pH 7 calibration solutions (good for 10-15 times of calibration). With a clear large screen, it supports dual display of Temp./pH value and indicators of completed calibrations (where L/M/H indicate 3 points of calibrations) and stable readings (with a smiley face). Smart self-diagnosis, warning of out-of-range measurement and incorrect calibrations. IP67 waterproof and dustproof. 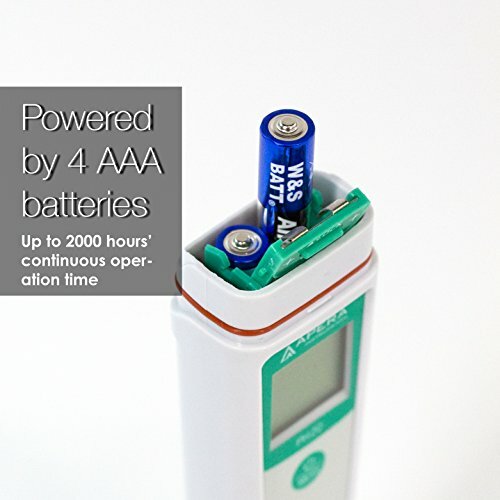 Up to 2000 hours' continuous operation powered by AAA batteries (with low power warning and Auto power off in 8 min if no operation). 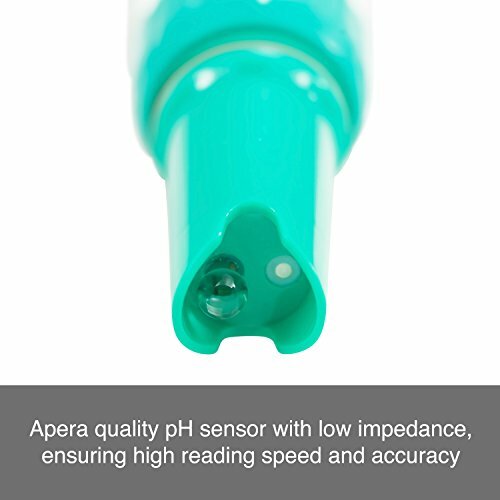 The meter is CE certified and comes with a 2-YEAR Warranty (6 months for the probe).The company develops scientific analytical instruments like meters and sensors for pH, conductivity, turbidity, and dissolved oxygen since 1991. NOTES: This instrument will NOT give accurate or stable readings for distilled or deionized water's pH testing. To measure distilled or deionized water’s pH, users need to use a specialized pH meter such as SX811-PW. Do NOT store the probe in distilled water or deionized water because they will cause damage to the glass membrane of the pH probe. 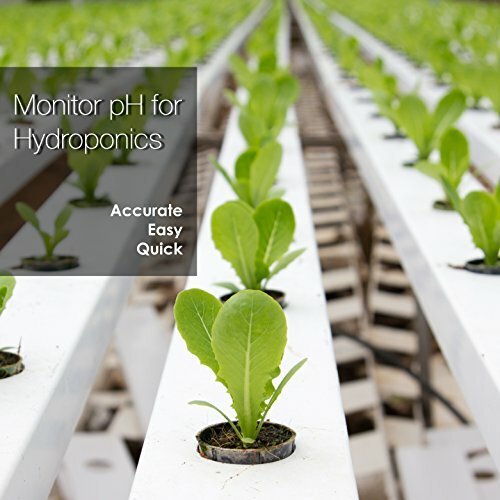 Only use distilled or deionized water for rinsing pH probes. 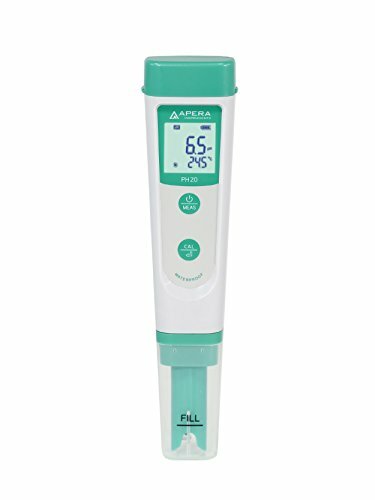 If you have any questions about this product by Apera Instruments, LLC, contact us by completing and submitting the form below. If you are looking for a specif part number, please include it with your message.